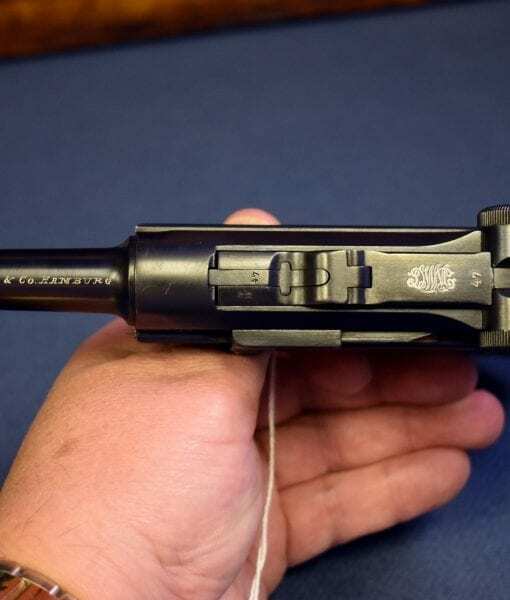 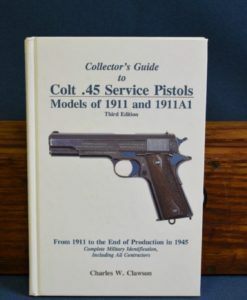 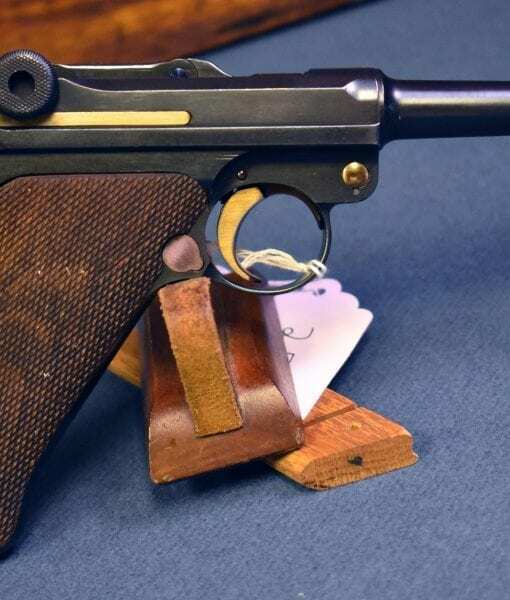 SCARCE DWM 1921 KREIGHOFF REWORK 7.65mm LUGER PISTOL…….F.W. 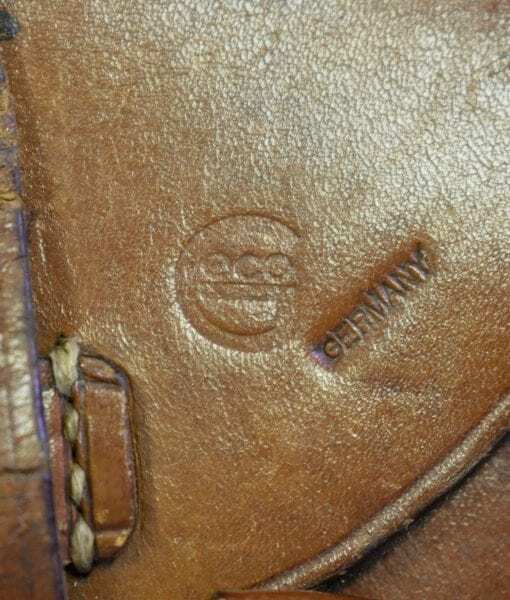 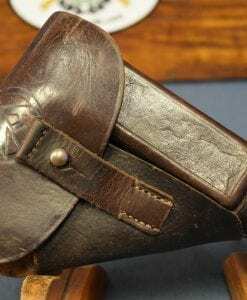 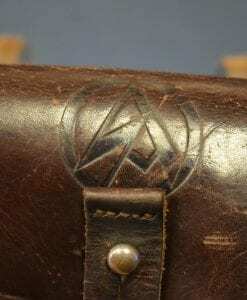 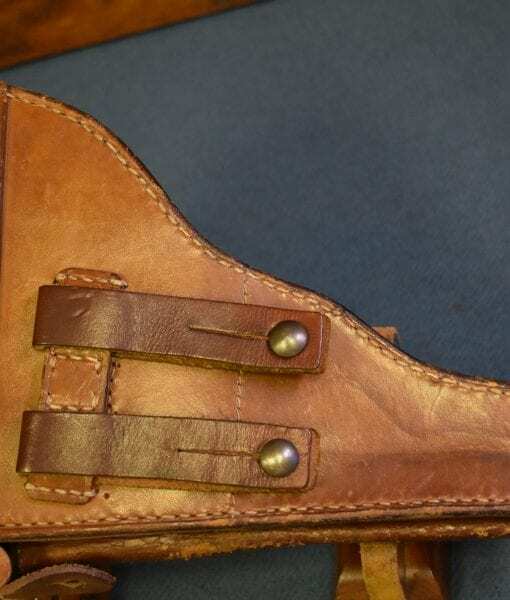 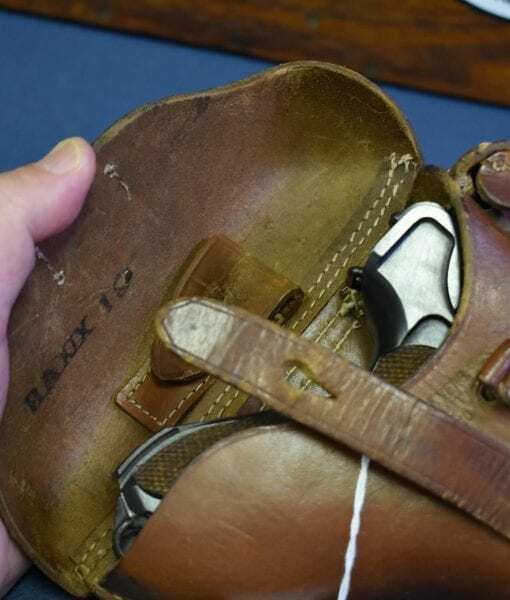 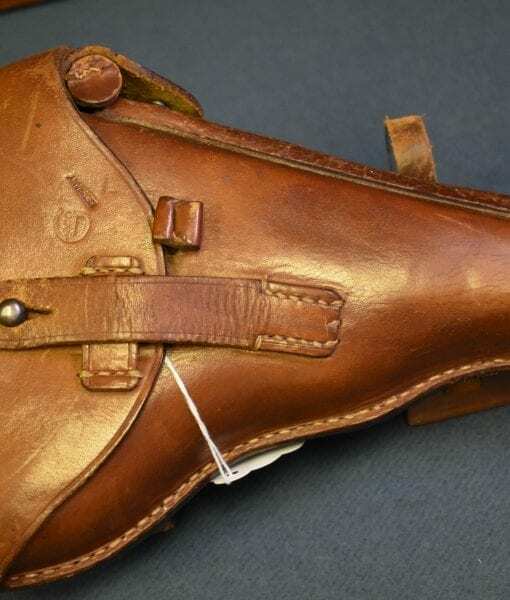 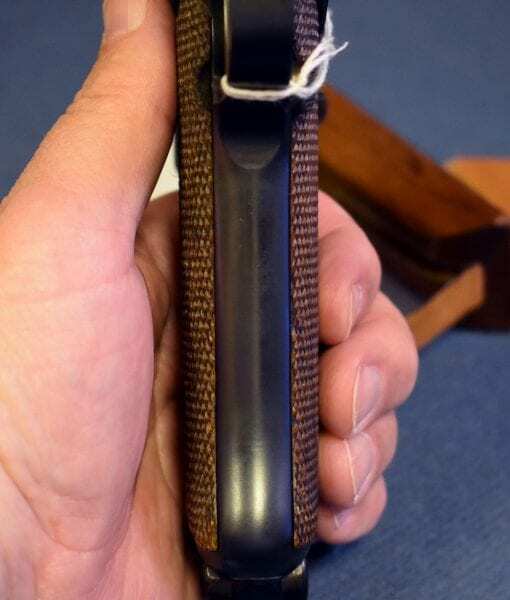 VANDREY & Co. HAMBURG MARKED…..WITH RARE GECO MARKED HOLSTER!!! 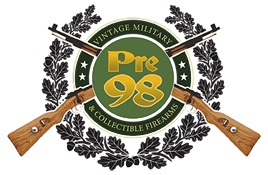 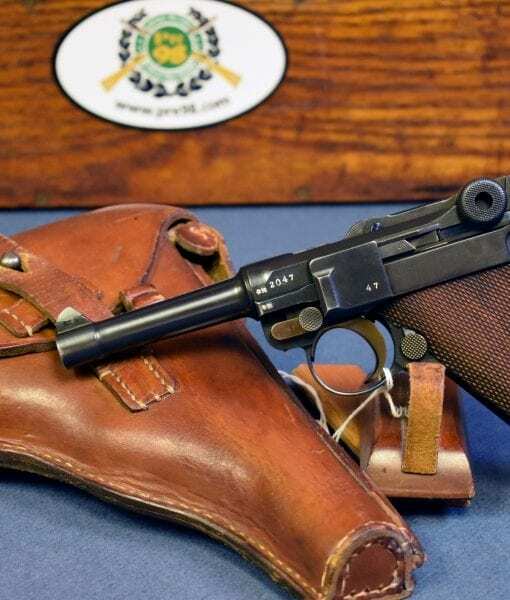 In 98% mint crisp stunning condition, we have a very scarce Wiemar Era 1921 DWM type 7.65mm Commercial Luger almost certainly a Krieghoff Rework of a military Luger. 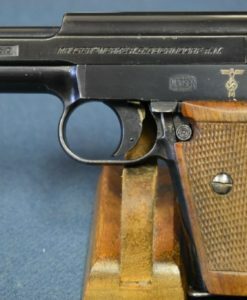 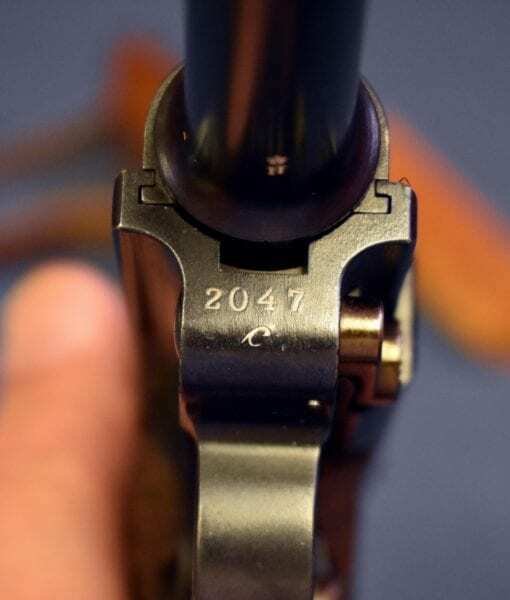 Unlike most of the Lugers of this period that were produced for export, this very rare example is German retailer marked to F.W. 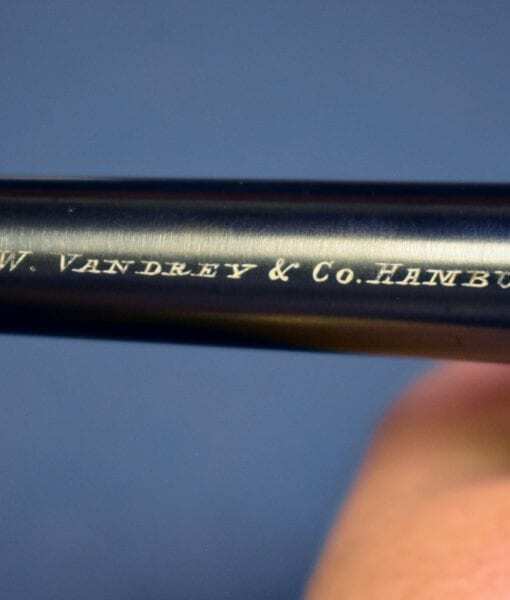 Vandry & Co. Hamburg, so it was commercially sold in Germany which is extremely uncommon. 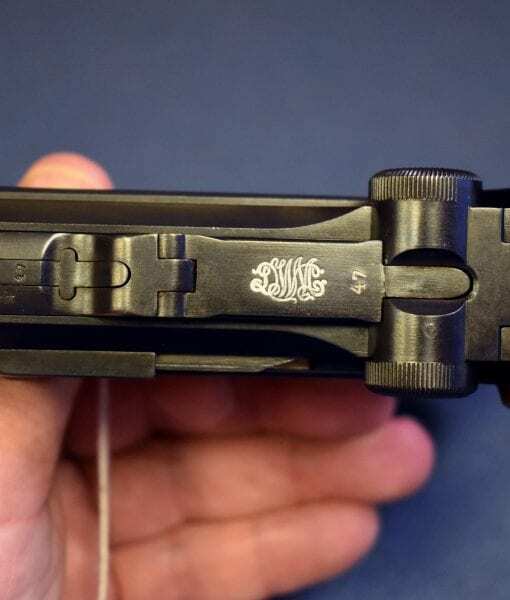 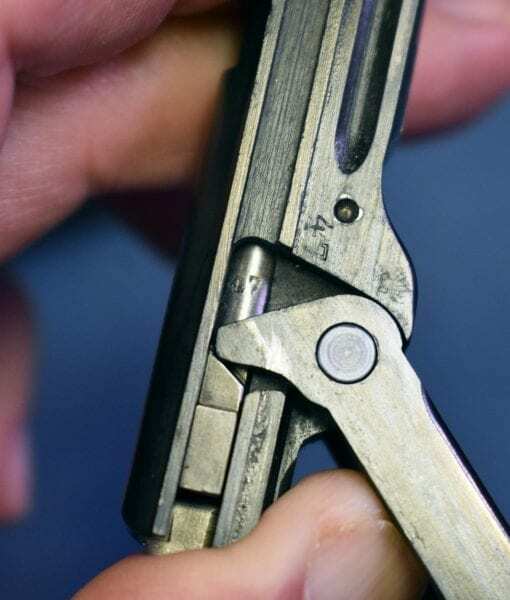 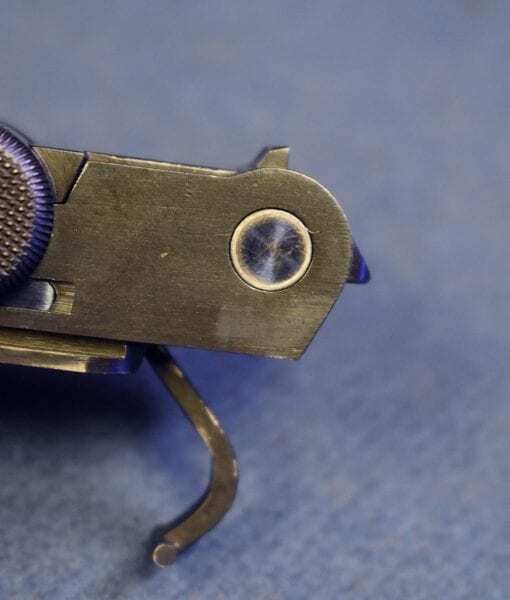 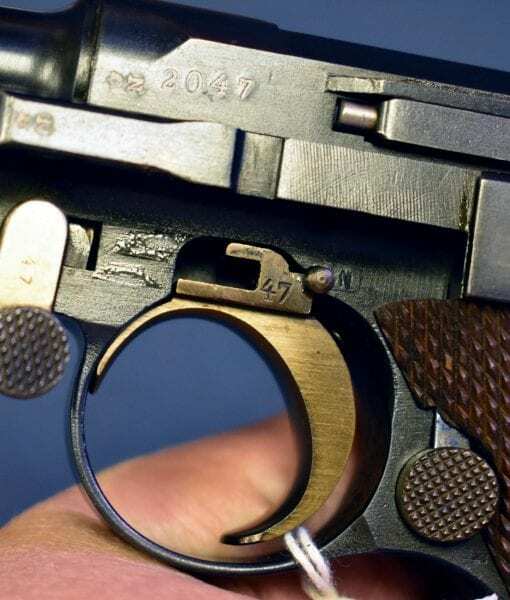 Lugers reworked and proofed in this style are considered by Luger Scholars to have been the products of Krieghoff in Suhl. 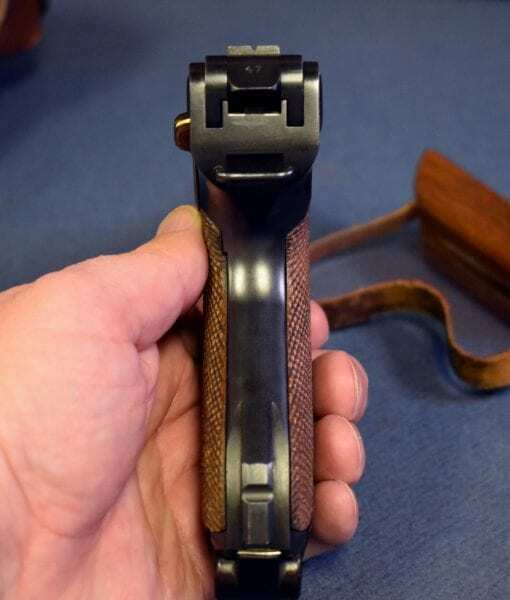 This is rigged out with a scarce cut down Artillery Luger holster marked that was Germany export stamped but was also sold in Germany as it is Geco marked the holster is just as remarkable as the pistol. 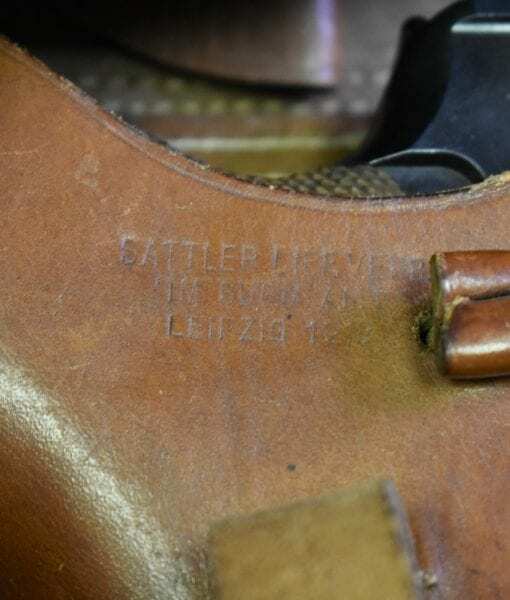 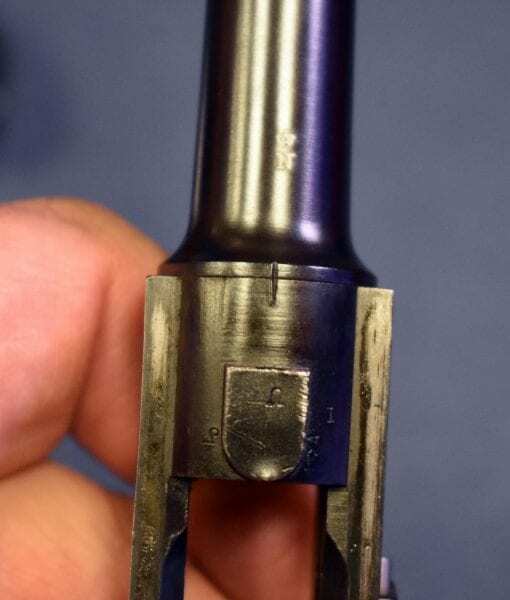 It is highly likely that this was a WW2 G.I Bring back exactly as you see it. 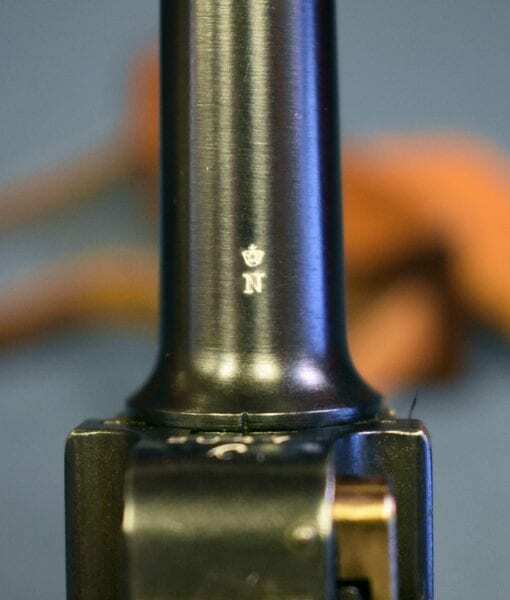 The pistol is totally matching with a mint bore. 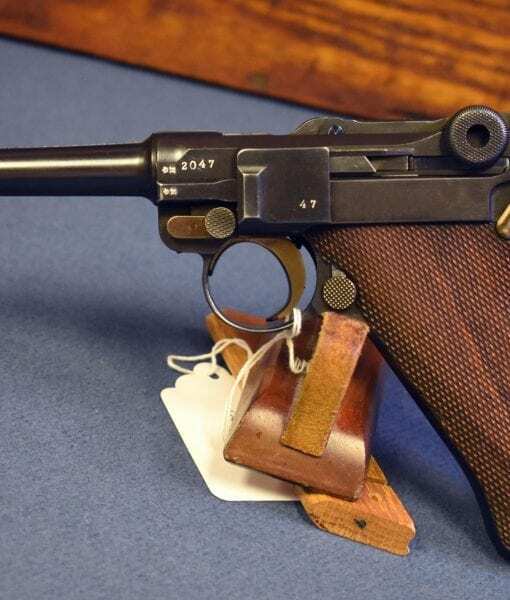 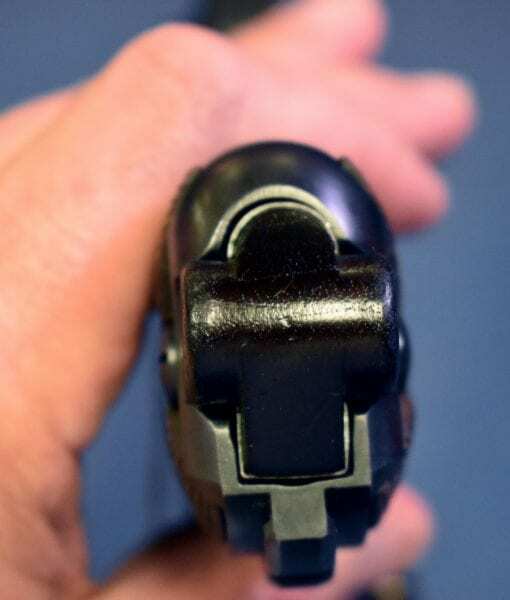 This is a stunning commercial Luger that was sold in the turbulent Wiemar era in Germany. 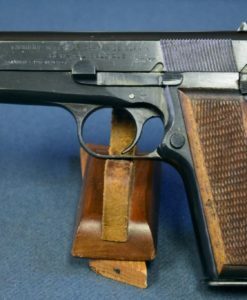 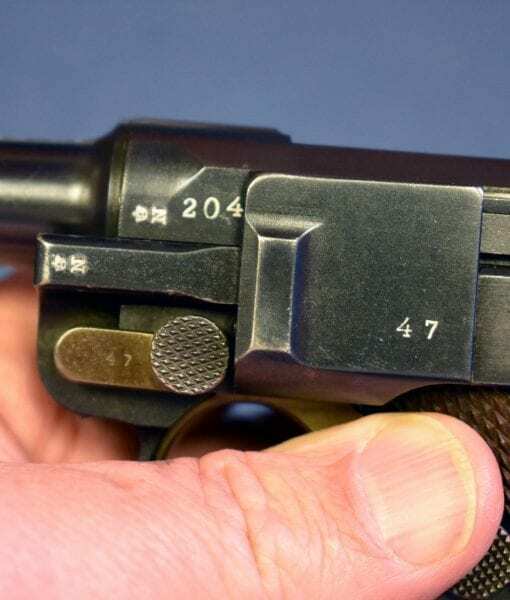 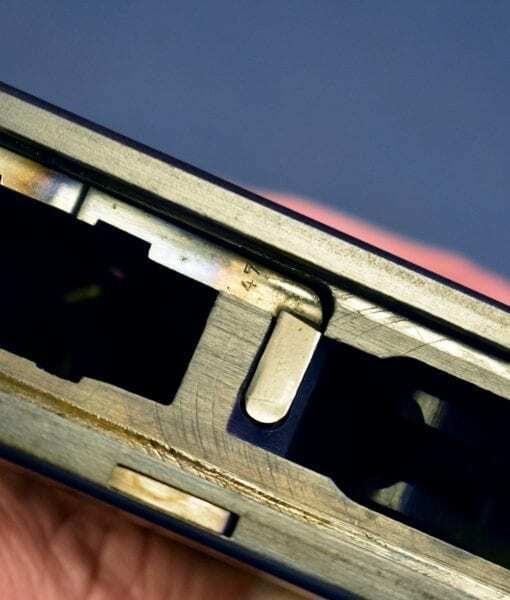 Any Luger with a German retailer marking should be considered to be extremely rare and extremely desirable and when coupled with the very rare holster, both in stunningly sharp condition would be hard for any Luger collector to resist.